These fun little cupcakes will entertain your family and friends with slimy (raspberry!) earthworms poking out of the top! Well, it’s October, and that means it is time for creatively creepy edibles! Last year I had SO much fun with my Broken Glass Cupcakes and my Toxic Slime Cupcakes! Oh my goodness, I love both of those recipes so much that it was hard to think of anything that fun and creepy for this year!!! I loved the idea of worm-filled cupcakes and decided that gummy worms are way too cheery, with all their fun bright colors. 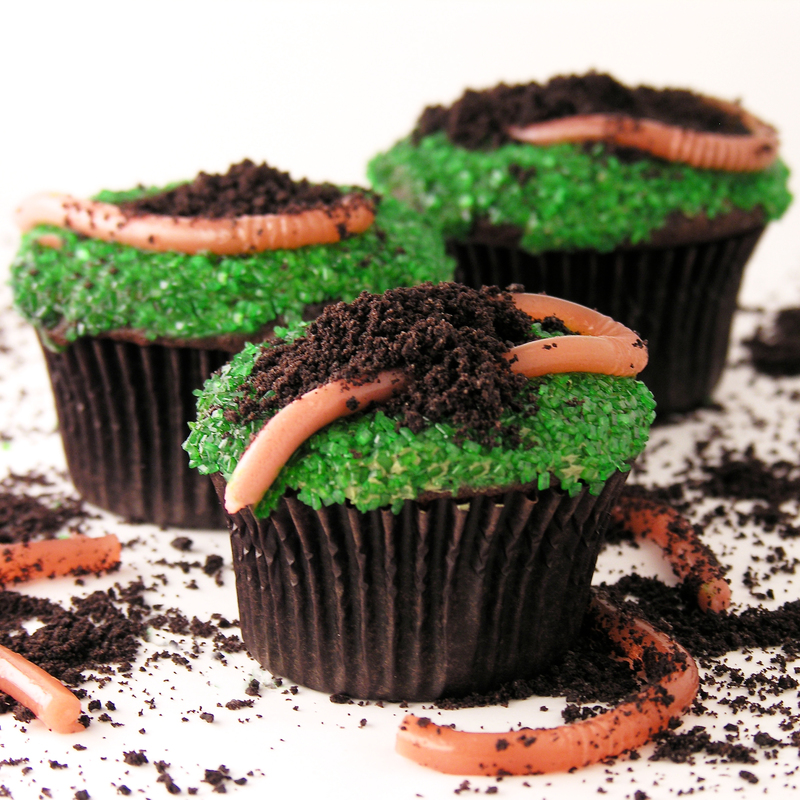 I wanted WORMS- big fat earthworms- in my cupcakes. I’m not sure why these are not readily available for purchase in the candy aisle of my grocery store, but fortunately I found a TON of recipes for make-your-own gummy earthworms online. I read about 10 recipes (they were all very similar) and gave it a shot. 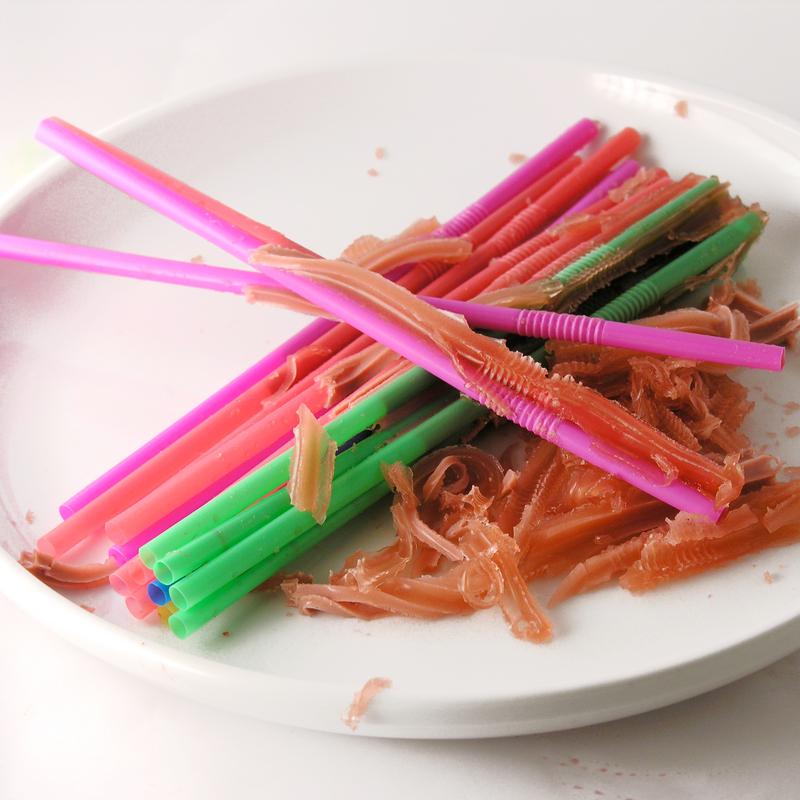 Take about 40-60 bendable plastic straws and pull them out to full length. Place them each in a tall glass with the bendable part down. Put a rubber band around the top to hold them together and upright. Mix jello and unflavored gelatin together in a mixing bowl and add boiling water. Stir until dissolved and refrigerate for about 20 minutes until cooled. Place cream and a little bit of green food coloring in a separate bowl and mix well. Mix cream with gelatin mixture until well combined. 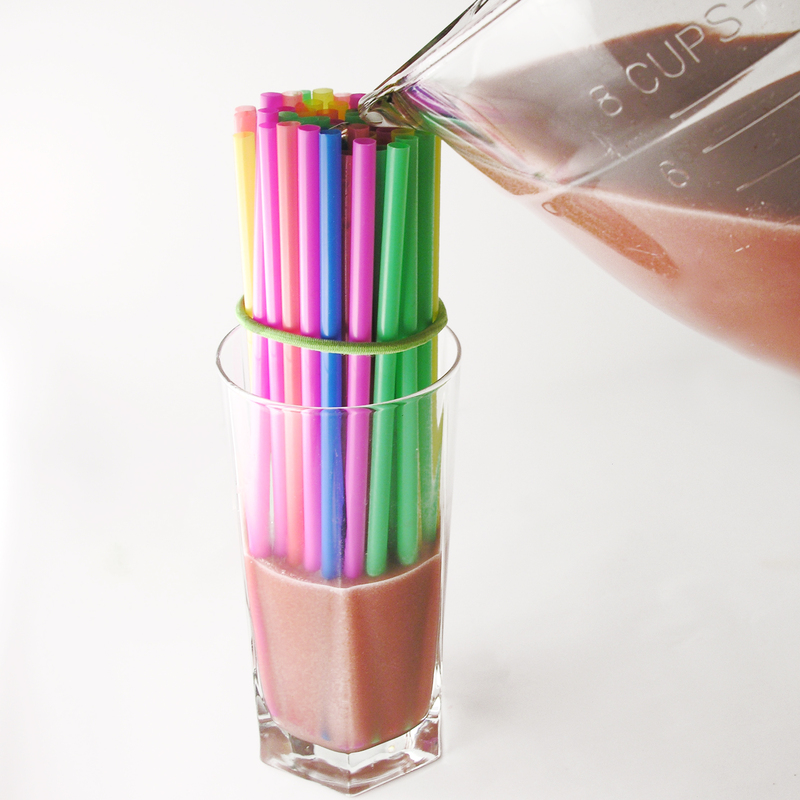 Gently pour the mixture over the tops of the straws until they, and the glass are full. Place a sheet of parchment paper on a cookie sheet, and lightly spray it with cooking spray. 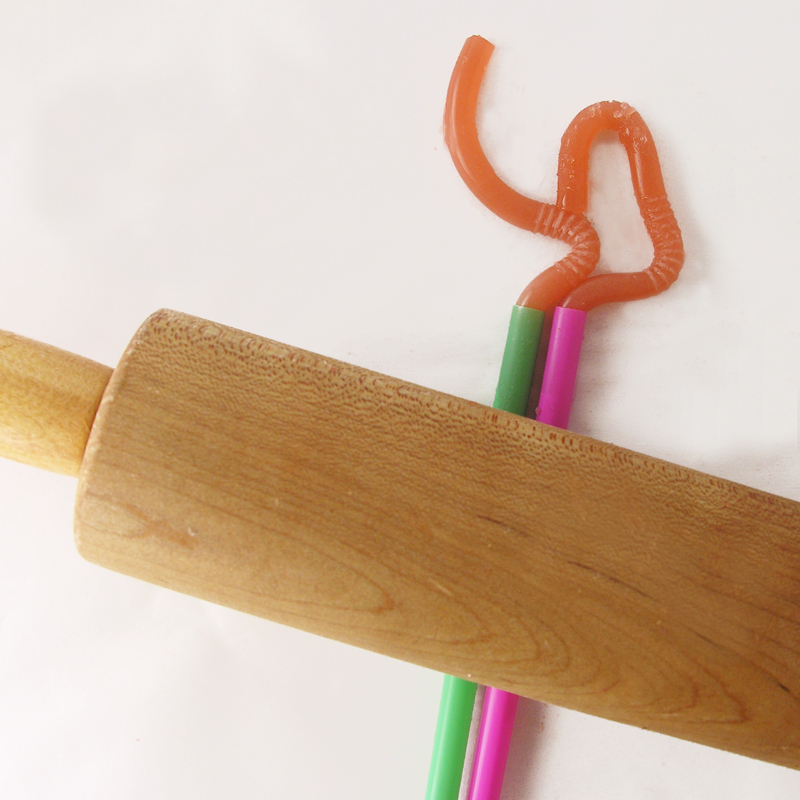 Gently pull apart straws and use a rolling pin to roll each little worm out. 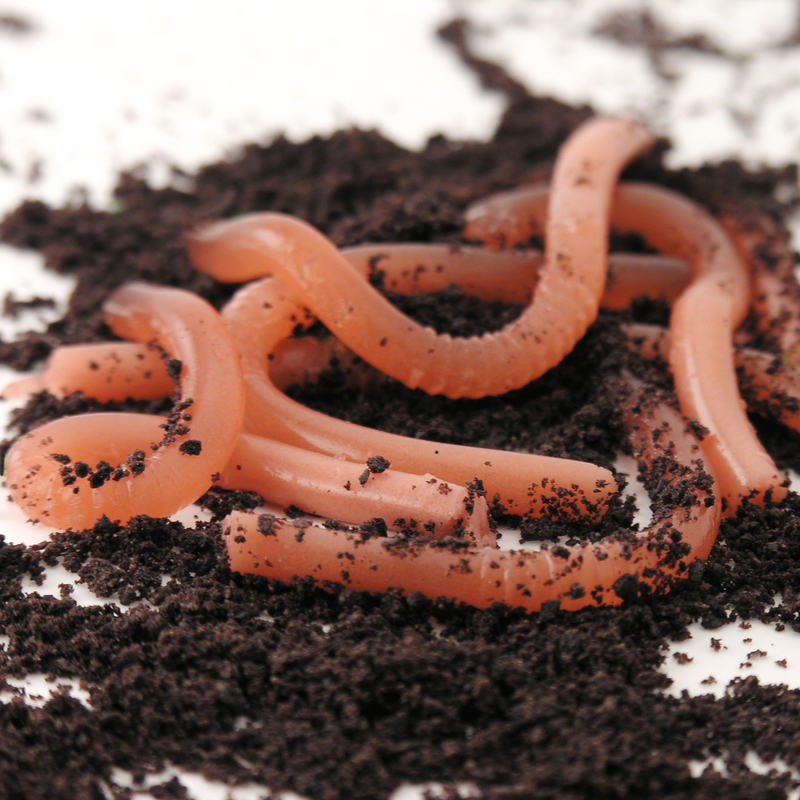 Place each worm on the parchment paper until all of them have been removed from the straws. Make cake mix according to box and divide evenly among 24 cupcake liners placed in tins. Bake according to package, and allow them to cool. Make frosting by placing butter, powdered sugar and vanilla in a large mixing bowl and beating it on high for about 3 minutes, until light and fluffy. Use a cupcake corer or a small knife to cut a core out of each cupcake. Use a knife to spread a thin layer of frosting on the top of each cupcake, around the hole cut out by the corer. Turn the cupcake top down into the green sugar, coating the frosting entirely. Spoon or pipe a small amount of frosting into each cored cupcake. 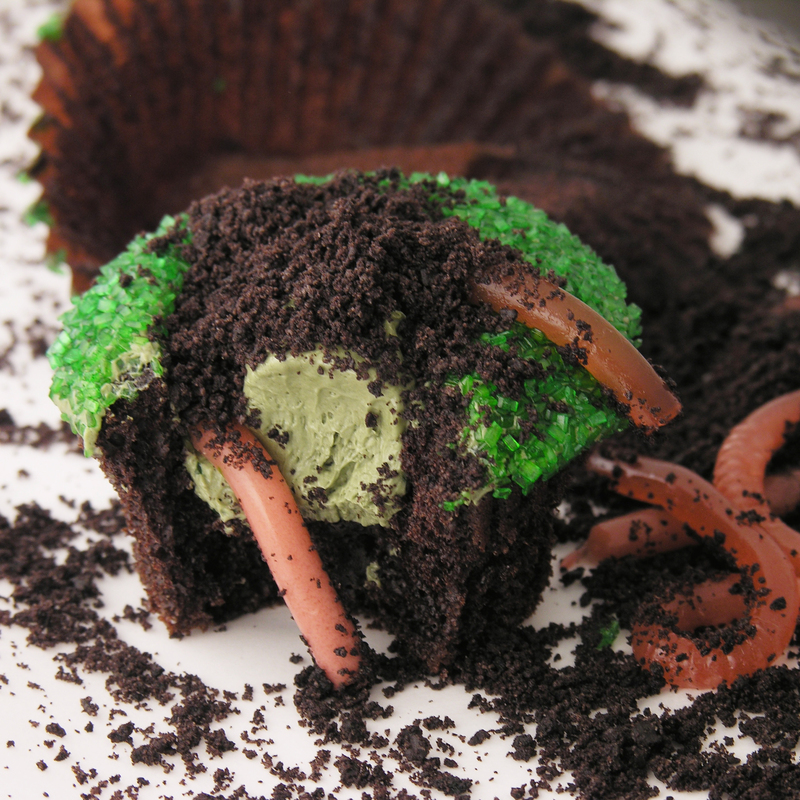 Set a worm into the frosting, letting it “stick” and be held in place. 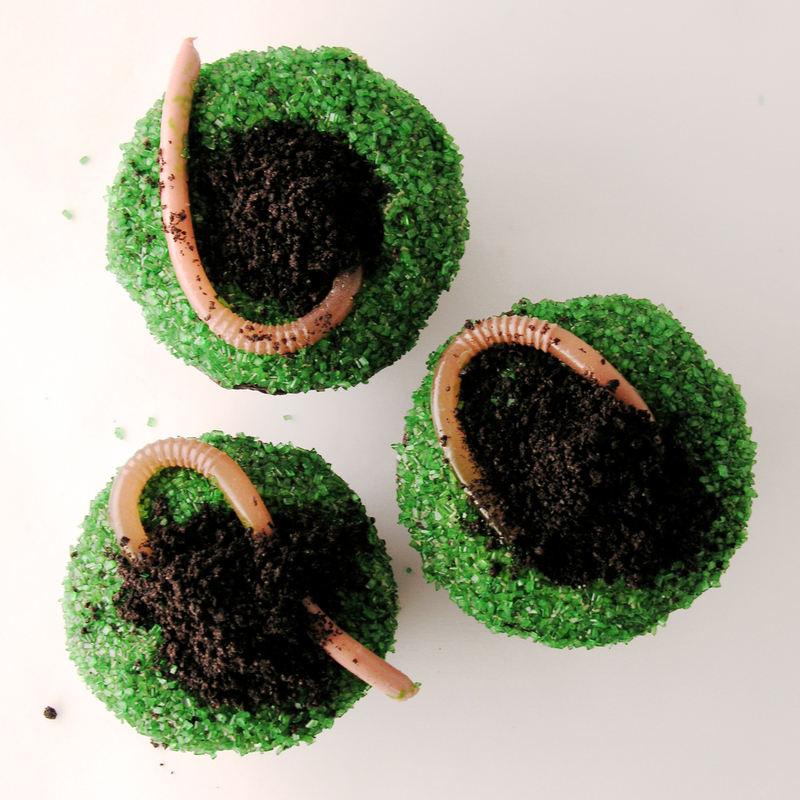 Spoon Oreo crumbs over the worm and frosting, filling up the rest of the hole in the cupcake. Posted in Cupcakes and tagged baking, chocolate, cupcakes, dessert, frosting, fun, gummy worms, Halloween, halloween dessert ideas, how to make gummy earthworms, Oreo dirt, party, recipe, sugar, unique, worms. Bookmark the permalink. I’m definitely making these for a Halloween party! I just wish I could go to your party Heather!!! Miss you! Pingback: 25 Halloween Treats and Food Items!